Kimberley Gillan has more than two decades experience in Local Government across three eastern states. She has qualifications in town planning, strategic planning, economic development and community development. 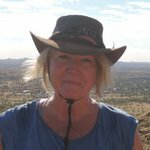 In 2015 she completed a Master Degree looking at the future of agriculture in Northern Australia. More recently Kimberley worked for the Queensland State Government in Cairns in Workplace development, identifying new and emerging job growth areas for Far North Queensland. In partnership with her husband, Kimberley is also a successful author with a total of four novels for publication in 2018.